When one of our residents turns 106, it’s worth celebrating with a party, and that's exactly what happened at Baptcare Amberlea Community recently. Mrs Jean Phillips, a resident at Amberlea for over a decade, shows no sign of slowing down, which is a testament of her country upbringing. Born in 1913, in the country town of Rosedale, Jean worked as a pharmacy apprentice, before marrying her sweetheart Ron, a founding student at Carey Baptist Grammar School, in 1935. Jean and Ron made a life together as dairy farmers in Lardner, along with raising their three children, David, Sue and Michael. 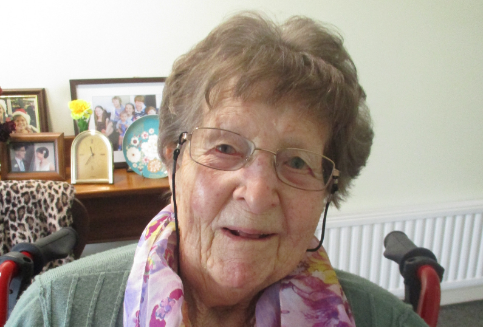 Jean still enjoys a close relationship with her extended family and is often found chatting on the phone to bridge the distance, something she credits as the highlight of her day. Up until only very recently, Jean was an avid knitter and reading was another of her favourite pastimes. 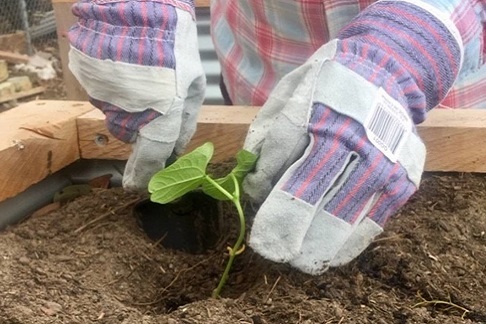 Jean has built a wonderful rapport over the years with her 'staffing' family at Amberlea, and staff member Tanya recalls fondly "Jean loves to quote her favourite lines of poetry from her youth as she was sowing seeds on the farm with her father. Jean has a good sense of humour often sharing a joke with the staff caring for her"​​. Jean's family and friends gathered in the balcony lounge area at Baptcare Amberlea Community on Saturday 16 March to share this special day, a day full of celebration and laughter. From all at Baptcare we wish Jean 'Happy Birthday' and wish her well on this momentous milestone.